Croatia’s beaches appear as nature intended: sea, sky, a stretch of unspoiled shoreline and invariably of smooth white pebble. Those near main towns or resorts have basic amenities such as sun beds, sunshades and showers, perhaps even a bar. Elsewhere, take water with you and wear sandals to negotiate the hot pebbles and sea urchins, the only natural hazard. At the southernmost tip of Istria, beyond the Roman wonders of Pula, even beyond Premantura, sits the bare and unspoiled Kamenjak. Row after row of infrequently visited beaches—where clothes are an either/or option—are dotted with tucked-away caves and coves with a back drop of rocky cliffs. Leap from one and into the clear sea below for a swimming experience like none other. Though wild, Kamenjak is not without its odd amenity, such as the delightfully ramshackle Safari Bar to the south-west of the promontory. Badija is a tiny island just off the coast of Korčula that has been uninhabited since the community of Bosnian monks was broken up in the 1950s. In their place there are now free-roaming deer and—on a more temporary basis—leisure-seekers and naturists. With a regular taxi boat service from the smaller harbour in Korčula, Badija sees a steady flow of visitors in summer. Fringed with pine forest, the pebble beaches are the perfect relaxing getaway. 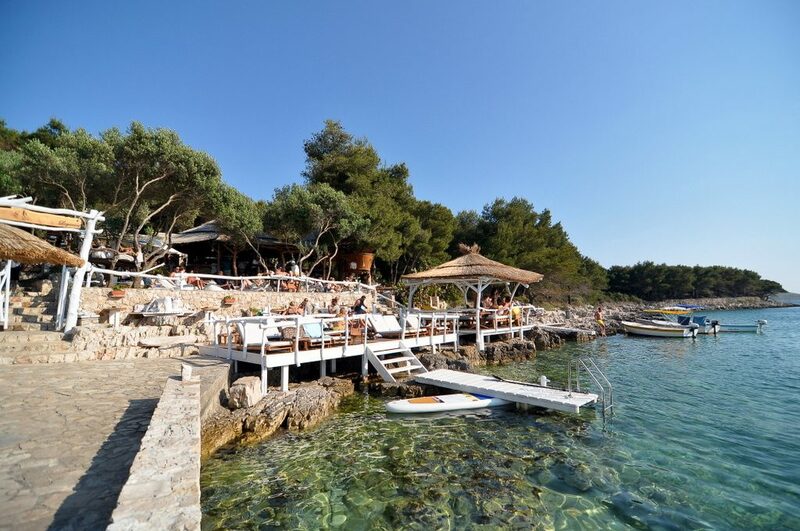 Professor Eugene Meneghello established this island resort, which conveniently faces the harbour of Hvar Town, in the early 1900s. A botanist, he created an exotic botanical garden here at the eastern end of the Sveti Klement, the largest island of the Paklinski archipelago. His tropical plants still flourish and provide a backdrop to the string of undisturbed beaches and hidden coves that make up the shoreline. Beyond the beach, rosemary and aloe grow wild, the aromas of which are discernible as you cross the vegetation to find another idyllic corner of coast all to yourselves. Located between two opulent hotels in Dubrovnik—but a world away from the moneyed bustle of Croatia’s tourist jewel—Betina špilja is a cave with a fine white beach that gives out to the sea. Paying guests at the Grand Villa Argentina hotel and the Villa Sheherezade, high above Betina špilja, cannot access the beach. 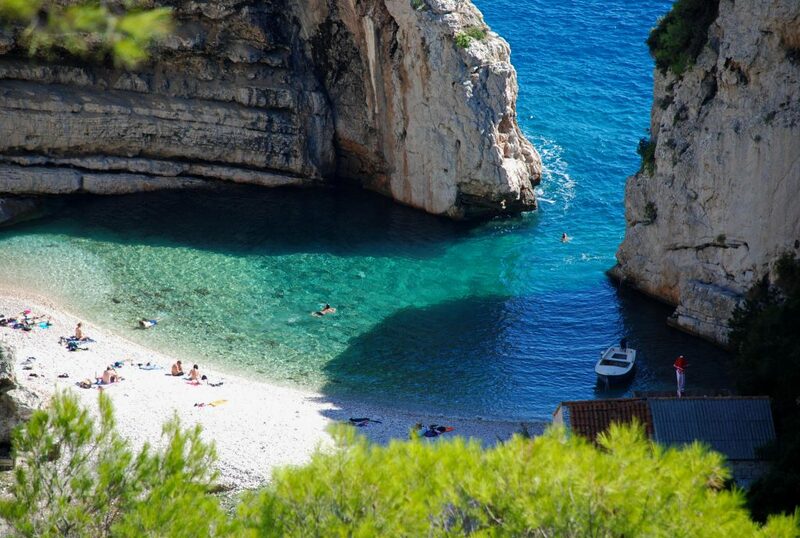 Anyone who wishes to experience this beach must ask a boat owner at Dubrovnik’s old harbour to take them. Be sure to also arrange a pick-up time, as there’s no mobile coverage or amenities; it’s just a beautiful beach and secluded cave that offers shelter from the sun. Take water and provisions. Most visit Mljet, Dalmatia’s most southerly island, for its national park that covers the western tip. The rest is mostly forest with one solitary road and few signs of life, save for the occasional scampering mongoose. Given the length of the island is only 37 kilometres (23 miles), and the attractions of the national park at one end, few venture to Mljet’s eastern tip, the beach-lined Saplunara. Those who do find the sandy beaches are a rarity in Croatia. Naturists prefer Blace, the most secluded beach, but crowds are rare at this far end. 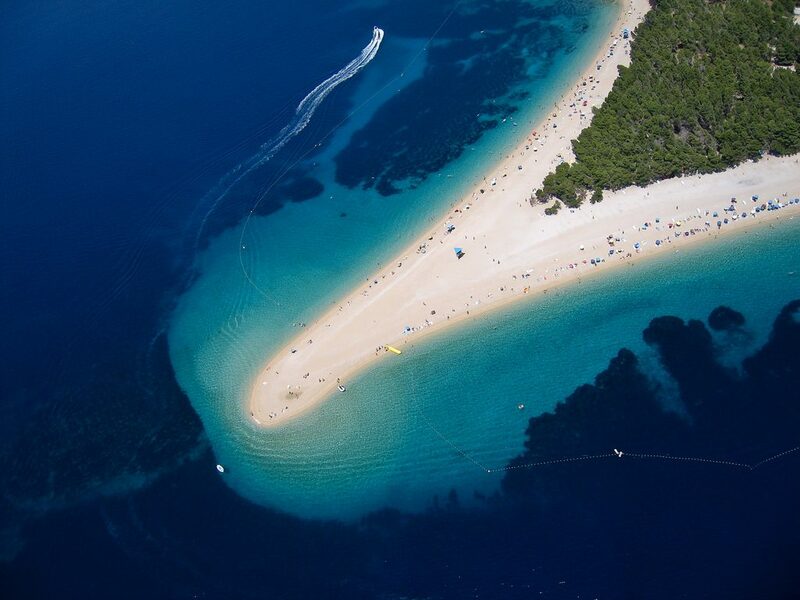 Kandarola, easily reached by taxi boat from Rab Town, has the honour of being Croatia’s most notorious beach. It was here in the summer of 1936 that Wallis Simpson and reigning monarch Edward VIII, at the height of their infamy, bared all and swam in the clear waters. 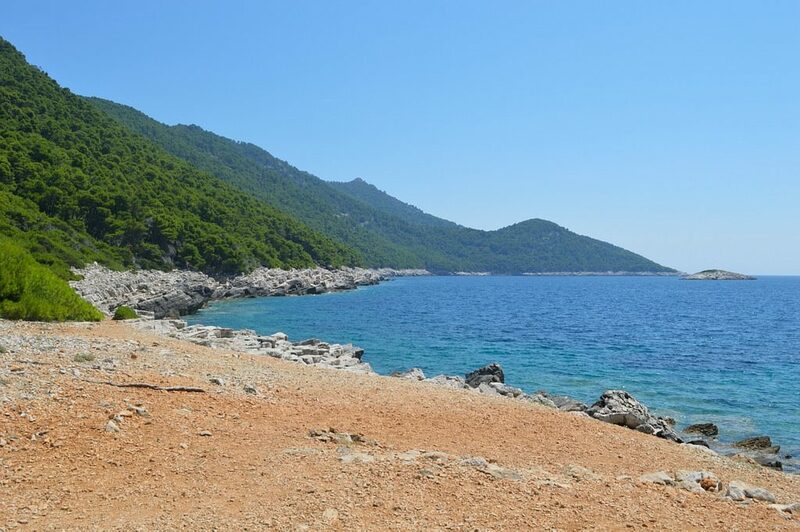 The controversial skinny dip kick-started a trend for naturist tourism, not only on Rab, but also across Croatia. Kandarola remains a nudist getaway. Non-residents pay nominal admission to enter this beautiful beach dotted with pretty coves. Despite being named the top European beach of 2016, Stiniva, on the southern coast of Vis, remains relatively undisturbed. Surrounded by cliffs and accessed only by a single track through wild countryside, or your own boat, Stiniva provides a sea in a precious and ever-changing greeny-blue shade. Bring your own water and provisions–the nearest outlet is way round the headland, the Crusoe-like Konoba Senko at Mala Travna. The Makarska Riviera, south of Split, is the closest Croatia comes to mass tourism. A string of resorts is ranged around a long stretch of beaches—it’s nice, but it’s crowded. Just beyond, equidistant from Dubrovnik, is lesser-known Brist. Steeply hidden from the main coast road, this tiny, tranquil spot doesn’t have much more than a church; a few private apartments; one affordable, loggia-style lodging called Hotel Riva; and a lovely stretch of beach looking out to the verdant Pelješac peninsula. Seclusion with benefits might describe it. Come in the shoulder season, and you’ll probably have most of the hotel and beach to yourselves. 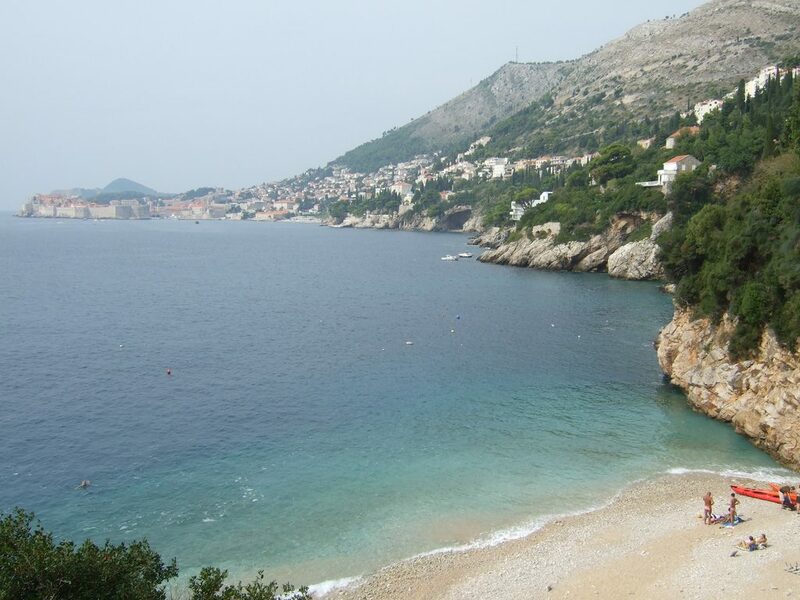 While tourists usually head to the city beach of Banje beside Dubrovnik’s Old Town, locals tend to prefer the city’s eastern outskirts and the revered beach Sveti Jakov. Prized for its sunsets, Sveti Jakov provides the amenities expected at Banje but without the crowds. It even has a small bar and restaurant. From the vantage point of a beach towel upon soft shingle and white pebble, the sea here is irresistibly clear, and the sight of Dubrovnik on the horizon is one that will stay with you for many years to come. The Golden Cape, or Zlatni Rat, is among the most well-known of the many beaches in Croatia. A tourist magnet and natural phenomenon, this triangular-shaped spit of land changes shape according to the whims of the tide, sea current and the Jugo wind, Croatia’s own Sirocco. Close to the resort town of Bol on Brač, Zlatni Rat is rarely short of visitors. Windsurfers flock here in the afternoons to take advantage of the other wind, the northwesterly Maestral.